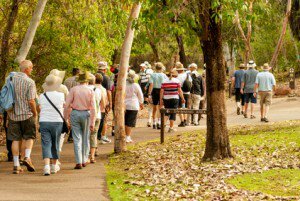 Senior health is important – exercise is part of that and walking is easy to do if you are able. If you are looking for something to make your walking workouts more fun and interesting, you may want to know about the Fitbit. This is a wearable fitness tracker which was introduced in 2008 as sort of modernized version of the pedometer. 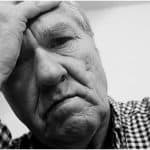 In May 2014, the Journal of the American Medical Association published an interesting study regarding seniors and elderly exercise routines. The research, which took place over 2 ½ years, involved 1,600 women and men between the ages of 70 and 89 who reported they did not exercise regularly. Half were assigned randomly to an exercise program that required daily walking and strength and balance exercises. The other half participated in educational workshops about healthy aging and were given gentle stretching exercises to do. At the end of the study, they found those who walked daily were 28% less likely to have become disabled and 18% less likely to have any episodes of physical disability. This study verifies the benefits of walking, a low-impact form of exercise which is easy, free, and suitable for a wide range of ages and abilities and Fitbit fitness trackers are a great way to track you results, achieve your goals, and connect with other Fitbit users from around the globe. Fitbit Zip– Retailing for approximately $60, the tiny Zip easily clips to your pants pocket or bra to track your steps, distance walked, and calories burned. Fitbit One– Retailing for approximately $100, the One has all the features of the Zip, but also tracks the number of floors of stairs you climb and your sleep patterns. Fitbit Flex– Retailing for approximately, $100, the Flex has all of the features of the One, but is worn inside a flexible wristband. Fitbit Charge– The Charge is a wristband that comes in two versions. One is an activity and sleep tracker which costs approximately $130. For $20 more, you can purchase the version which also tracks your heart rate. Both versions offer a caller ID feature. Fitbit Surge– Retailing for approximately $250, the Surge has all of the features of the heart rate version of the Charge, but also tracks GPS, serves as a watch, and can be used for music control. Fitbit Blaze– The smart fitness watch retails for approximately $199. With all day activity monitoring and sleep tracking, it is an amazing way to stay on top of your day. All of these versions communicate their recorded information wirelessly via Bluetooth Technology to both the Fitbit website and the Fitbit app, which is compatible with iPhones and Android phones. Fitbit gives you the ability to set daily goals for yourself, and will let you know when they have been met. It rewards you along the way with badges celebrating your accomplishments. It also allows you to compete in daily, weekly, and monthly challenges against your friends which can inspire you to improve your fitness level. Additionally, you have the option of supporting, competing, and chatting with others to keep yourself motivated. 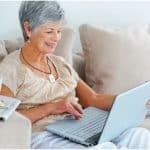 For example, one quick search through the Fitbit online Activity Groups yields dozens of groups for Senior Fitbit users, including “Fantastically Fit Seniors,” “Seniors with Arthritis,” and “Senior Mall Walkers” which makes it the perfect fitness tracker for seniors. 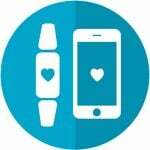 These Fitbit group chats combined with a senior friendly medical alert app is a great way to utilize the latest technology for your aging loved one.